Social media is considered to be one of the most important functions on the internet. It allows web surfers to share and discuss information that they deem valuable. With almost 400 million people logging into their social media accounts daily, it is a resource that should be impossible to ignore. Never in the internet’s short yet explosive history has there been anything as exciting, and as potentially useful when it comes to marketing and brand recognition, as social media. In fact, it is the most provocative tool to hit marketing since the television first premiered and began sprouting in consumer living rooms. Any business or person who truly cares about their brand and wants it to grow will partake in social media. One of the things that makes social media even more exciting than television (and radio for that matter) is that people will have a much harder time zoning out your marketing as they do with other commercial platforms. When consumers watch television, they use those five to seven minutes of commercials for bathroom breaks, food runs, or they fade out completely (not to mention those who get angry and fling their slippers across the room). With radio, the simple spinning of the dial or push of a button jumps from one station that is going into a marketing set to a station that is still jamming. Even a website can be prone to the zone. Remember banner ads? (Most people do not even see them anymore.) Social media is straight marketing entertainment for one and all… no zoning required. Even one instance of rude, obtuse, or tactless content can do months and even years of damage. Social media is a powerful tool, and with power comes responsibility to both your company and to the public at large. A little personal interaction is good. A large number of marketers use the 70/30 rule. This means that they devote 70% of their time marketing and 30% in personal interaction, including commenting with followers on non-niche related posts. People who use social websites appreciate a company that interacts with them on a personal level – to a certain degree. The 70/30 rule is in place because there is a fine line that can be detrimental to your bottom line should you cross it too often or too far. Many companies have suffered a big hit to their image when they accidentally blended too much of their personal life with their business in social media. KitchenAid found this out when they made a racist comment about President Obama’s grandmother. Their social media manager said they thought someone had logged into their personal account. You’d think the social media manager would be a little more careful. There’s no telling how many fans they lost that day. Your fans on social media don’t need to know everything about the way you do business, because it is likely that they won’t agree with all of your choices. Boloco, a burrito restaurant on the East Coast, learned its lesson when they tweeted that their business would be open during Hurricane Sandy. The public expressed outrage at the company for making their employees work through a storm. This was a time where a business said just a little too much. They thought they were providing a valuable customer service, but they either did not think it through, or they gambled on the possible outcomes. Anything you post on social media can resurface at any time. Just because people have stopped liking the post or commenting on it doesn’t mean it will disappear. It can pop up at any time, especially the ones that are most controversial. 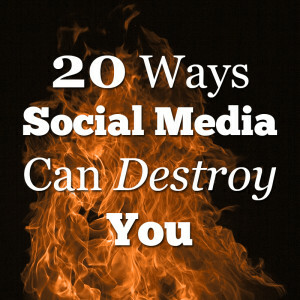 These posts can cause the most damage to your image at a random time. It pays to keep track of what is said lest it come back to bite you when you inadvertently contradict yourself trying to follow fickle public opinion (which sometimes changes faster than the weather). This might be one of the most important things to remember about social media. Don’t post every thought that comes into your mind. Some thoughts that we think are clever might simply come across as ridiculous to others. That being said, always think a little before you post so that you don’t lose valuable social media followers. Loose lips sink ships, but quick lips can sink the entire armada. You need to be extremely careful about slinging insults that could potentially offend your biggest clients. (Or any client.) There really is never a good time to complain on social media because one complaint could rub a valuable client the wrong way. When you’re a business owner, even your personal account is under a lot of scrutiny. Keep that in mind when you throw out your next complaint. Try to remember this simple business rule: customers may complain, but as customers as in a business to business relationship, a personal contact within that organization is always the way to go. Try to stay clear of making your followers angry. Angering one follower can result in angering a group of followers. If a fan makes a complaint you’re not very happy with, it is best to ignore it. One fan can cause a spark to flame. On social media, image is everything – and it only takes one post for people to see your brand as snippy and obnoxious. If you must respond to an angry customer post, do so with gratitude for the customer’s posts and add value by addressing the angry complaint with a happy solution. After all is said and done, being in business means solving problems (especially your own). 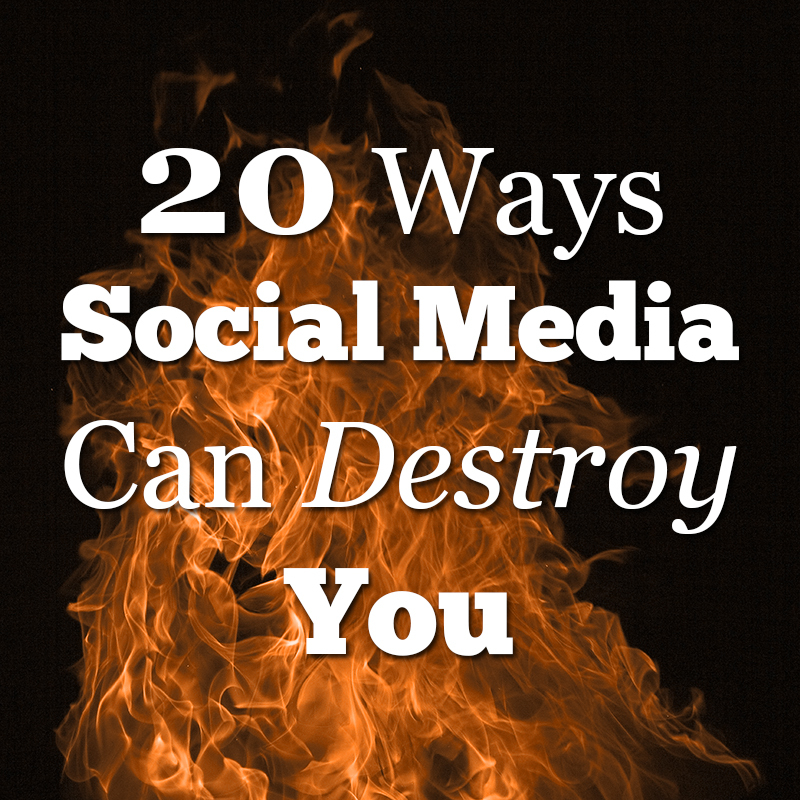 Timing is another key trick to mastering social media and avoids having your brand destroyed. If you find yourself dealing with an image crisis in any way, you might want to cancel your promotional updates. Posting about anything other than meeting the needs of your clients at a vulnerable time can put a huge dent to the image of your business. A business should never consider making a fake account to solve their problems. Posting or answering comments on a fake account will make your brand appear dishonest and sneaky. Chick-Fil-A recently set up a fake account to try and combat comments that expressed outrage about their anti-gay campaign. It didn’t take long for people to find out it was the company making those comments and wholesome Chick-fil-A’s image was destroyed in a very short time. Keep it real, and avoid throwing your opinions around on sensitive issues, such as politics and religion. You are online to sell products, not create policy or participate in a national debate. One of the worst things you can do is start a social media campaign before you’ve checked out how your competitors do business. Find what works and what doesn’t work when your competitors post on their social media accounts. You don’t want to be the one business in your league that posts things way out of the norm. You want your brand to be different, but you don’t want it to be awkward. Just remember that while it is wise to learn from your mistakes, it is wiser still to learn from the mistakes of others. The content you post should always be within the guidelines of the social media site you use. You should never post topics that are deemed inappropriate to that social media website. It will most likely be bad for your image, but it could also get your account removed. That will definitely set you back in your social media goals. A trick used by many small, at home startups is to keep a print-out copy of the rules for each social website used posted on the wall or on a pin-board close to their business computer. There is really no room for inside jokes or clever messages to be posted on social media. Social media is best kept direct as well as simple. A business should keep their posts casual but also professional. Clever posts have been met with a lot of criticism because they’re not always seen as clever by everyone. When you really think about it, most of our clever retorts seem tacky – even to us – after only a short time. You might also remember that being clever is an art, not an overall human trait. Many people have not mastered it yet. It’s safe to say there are some topics that are guaranteed to be of poor taste, such as using an illegal activity to promote your product. As a business, you should know better. But some companies have pushed the envelope on these things and failed big time. In other words: it would not be wise to crack jokes about, say, the Special Olympics, even if you are a proud sponsor. Bad show, old boy… bad show. Tesco, the top dog in UK Supermarkets, signed off their twitter account for the night with a crack about hitting the hay just as a horse meat burger scandal broke out. Tesco did not apologize for their tasteless crack or make a half way decent excuse until the evening of the following day, when an instant oops was called for. Talk about poor taste. It is never a good idea to try to fool your fans on social media. Fans can easily tell when you’re trying to trick them into thinking a certain way. Wal-Mart launched a campaign that supposedly had all of their workers raving about how much they loved working for that company. It didn’t take social media followers long to figure out the campaign was a sham and Wal-Mart ended up apologizing. A simple spelling mistake on social media is usually not a big deal. But certain spelling mistakes can make a bad impression. Try to spell any words directly related to your business or brand correctly. It’s easy to destroy your image if you spell the name of your products or your company wrong. It’s not just embarrassing. It’s an image destroyer. Moving too slow when you need to address a social media blunder can be the death of you. For a busy business owner or social media manager, it takes a lot longer for someone to respond to a media blunder then it takes for fans to react. Moving too slow to address the controversy of a post just might give people a new and less flattering image of your company. McDonald’s pulled their obesity and dog food blunder within two hours. That was about one hour and fifty-nine minutes to slow and they caught negative social punishment for over a week. Dogs may have a short memory span, but social media remembers for a long time. A social media plan is vital to any company who wants to succeed online. Not knowing proper buzz words, hashtags, and posting styles can render your social media presence ineffective. If no one sees your brand, then no one will see what you have to offer. Research is the key. You do not jump into a car and start cruising on your sixteenth birthday unless you learn to drive first. Ignoring the multiple outcomes of your marketing campaign can result in your foot being lodged in your mouth. 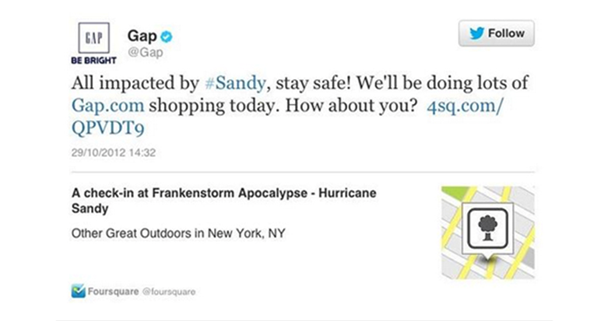 When launching a social media campaign, you need to consider what bad results might come up along with the good ones. If the bad results outweigh the good, then it’s best to leave that idea alone. This is especially true if you have hired an advertizing firm to do your social media work. Do not ignore their work, or you may wind up like Home Depot and its more than 150,000 upset fans when their ad firm posted two African American drummers sitting on either side of a man in a monkey suit (with drums) for their ESPN College Gameday campaign. The caption read, “Which Drummer is not like the others?” Pay attention to your posts, even if you are not the one posting. Linking your brand with spam is a sure way to destroy your image. Toyota once sent spammy messages to anyone who used a certain hashtag. Twitter actually shut down their account and they tarnished their image with some long time fans. There’s nothing wrong with promoting your business, but everyone hates spam. It is always safe to stay clear of sending it out. Make sure you only post on social media when you truly have something important to say. Shooting off unnecessary posts can lead to unflattering posts and be your fastest ticket to destroying your image. If you really don’t have anything to say, keep your “tongue in check.” It is safer that way. If you are bored and on social media, use your personal account and limit your comments to personal friends. You should never be afraid to use social media to promote your brand, company or business. There is not a single company that won’t benefit from the use of social media. Not plugging into the social media system will leave your business in the dark ages. It is incredible just how much you can accomplish. 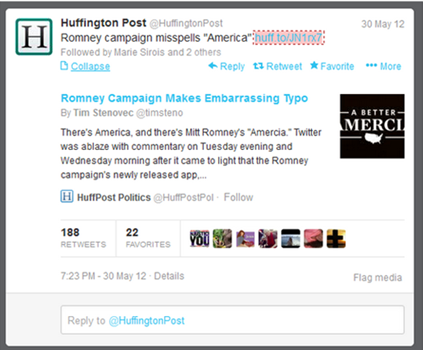 Have you ever come across a social media blunder? Share it with us in the comments below! Social media is like the world’s paparazzi. What’s worst is even if you delete something, somebody probably did a screen shot of it. In terms of number 6, you can actually try to make it good for you if you do it well. You can actually give them a refund or something. Even if that customer won’t come back, the rest will be glad to see that you still have some integrity. It might backlash if you do it too late, though. I agree that social media puts everything out there for the world to see, especially when it comes to business pages. Moreover, you’re right, it can be an opportunity if resolved well. However, in any event when consumers are angry, even if it’s a direct result of social media activity, I believe it should be dealt with by the marketing team as a whole due to the public nature of the medium. I think #16 is perhaps one of the most important. It helps prevent a lot of other blunders and headaches. For any activity we engage in – social media, email marketing, blogging, etc. there is great danger in just jumping in willy nilly with no plan. Get a good plan going, and things go much more smoothly! Just when I thought that I am perfect ,this comes up. Great guide for all of us. In some ways or the others we must have all sinned in one of these points. I loved it. Thanks for the kind words, glad you found this useful! Honestly, it feels like social media is a no-win situation some days. It’s as if there are people out there just trolling for reasons to be offended. 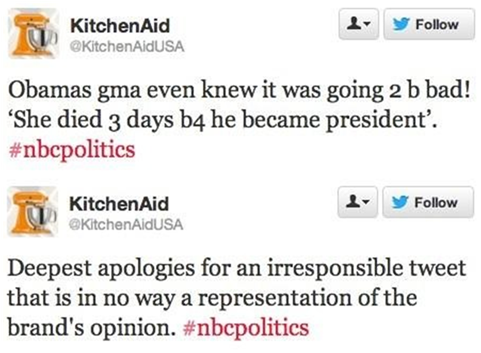 The Kitchen-aid tweet about Obama’s grandmother was tasteless, yes, but racist? Please. The supermarket that signed off with “time to hit the hay”? That’s a common saying in the rural countryside where I live. No one would think twice about it or connect it to a later scandal about horse meat. Yes, and I have found that there is forgiveness in social media so long as you respond quickly to any mistakes. Apologizing really works and gives faith that you can have a second chance….Just like in any relationship. I agree. Pandora’s box, exactly. Yes, just trolling for a reason to flair up. I really see where you’re coming from. Consumer attention and interaction is at risk of driving brands to lose their edge/cheekiness in fear of receiving public complaints. The result is generic, bland content that never makes a statements. In my experience, however, the vast majority of social media users interact with brands for support and other benefits, outnumbering the negativity-driven trolls. The latter are louder and so they must be dealt with, but don’t let them deter you from forming a social media presence that’s conducive towards building a community. Love the ‘billboard’ test you live by! We all need to be mindful of the way we portray ourselves on social media, and that goes especially for brands who have less control over privacy features. I think social media has the capacity to be a wonderful tool both personally and professionally. On the other hand, it is also a virtual Pandora’s box. I feel social media should be treated like a stick of dynamite, it can do a lot of good as equally as it can create disaster. In one face book post or “marketing effort” to push their lenses, they insulted their entire customer base. I enjoy this post. It is both educational and to a” helper” to remind us to be responsible in our communications communities. I have seen #1 being abused where too much of one’s personal life is revealed. As to number #14 I am now coming to believe that there is a new type of spelling for social media, for #19 many have used this platform as means to say anything that is bothering them. More and more people want to “vent” because they are sometimes lonely and frustrated. Personally, I am of the opinion that social media is a great global tool but it carries responsibility. Ben, thanks for this great input with the relevant examples. Guess what? you have given me homework, What? you ask; her’s it. I have seen blunders but have not recorded it so I see where I need to be observant and make notes and have the examples as proof. Thanks again! Social media has also become a threat used often these days. “Do what I want or I will blast you all over the internet,” is heard routinely by businesses and individuals. It’s lost its impact the same way “I’ll sue you,” had in the past. Some may actually go through with it but most won’t. Just making those kinds of threats make you look immature and emotional. There is definitely a massive case for not using social media when you’re feeling angry/sad/frustrated. Think before you speak, and think before you type and hit send! Glad I re-read, although both ways are true. You make some fine points, but I think you are off the mark about balancing social media at 70/30. I would reverse that or even go 90/10. It is SOCIAL media. It’s meant to be SOCIAL. People will get turned off and stop following you if you try to sell them most the time. My second point is a question: What in the KitchenAid post was “racist”? Bad manners, poor attitude, not compassionate – yes, but racist – no. “You keep using that word, I don’t think it means what you think it means!” – The Spaniard. 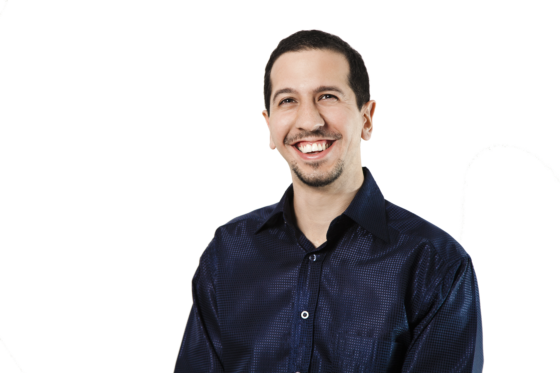 KC, the balance is up to the user, but ultimately many of my business clients find that the cost of maintaining this platform is too heavy to bear unless it consistently drives traffic or conversion. If you’re an enormous, well established global brand with offline presence and ads, perhaps you can get away with a more purely social approach that works on branding and reputation, but not everyone is Coca Cola. Soft sell and customer support are the backbone of a brand page, with social engagement being an expected aspect that can work wonders for branding. This goes especially for start ups, small & medium companies foraying into social media. Regarding the ‘racist’ terminology, it’s one of the reactions that stemmed from this story. I believe the uproar came from having a class issue alluded to, which led to a racial association among consumers. These are some of the best tips I’ve come across. Its always essential to look at the negative aspects too, since one mistake can cost a lot to a company. In the careful avoidance of committing sin #9, I’ve accidentally fallen into #20. Hmm. But if I was scared before, I am terrified, now. Being fully aware that grasping politics is never my strong point, I wonder if 20 Commandments is just too many for me? Anyone care to narrow it down to the ten most important? I’d be grateful. Also have a question, Ben: How does this compare to the ideas of being true to self, letting the chips fall, encouraging hits through shocking content, and using haters to boost traffic? As I said, I’m not good at all when it comes to politics. Sorry. Katharine, social media ‘politics’ can often be confusing, and these commandments are meant to help one navigate this delicate platform. Regarding being true to one’s self, I feel that I can equate it to the norms and protocols we use in everyday life in society – if we can train ourselves not to say offensive things out loud say, at work or at the mall at total strangers, then the same should be applied to social media. 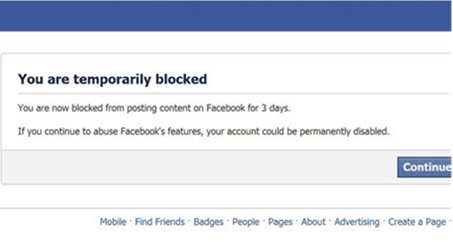 One way to bypass this is tweaking privacy settings, but that may not solve the issue 100%. Great article, thanks. Gotta keep those in mind. I’ll be referring back. But I think I might be on Twitter too much. Yesterday a friend sent me an email about a retreat but I initially thought he was talking about retweeting. True story. lol, the places our mind goes to… Thanks for the kind words! Great article. It is simple and reinforces things you should already know. Think I’ll consolidate the points into a weekly checklist. Thanks for share the great tips, many peoples make this type of mistakes. Truly, I never knew the thing that are advice in the article. I ma using twitter and facebook as social media a lot and will put into the advice given here.